In the 35 years since Henry Miller’s death, meaningful scholarship centered on the controversial author has ebbed and flowed. During the 1990s, biographical work on Miller reached its zenith with Mary Dearborn, Erica Jong, and Robert Ferguson individually producing relatively thorough, archive-driven publications, complimenting Jay Martin’s 1978 seminal work on Miller. The 2000s witnessed a return to more critical interpretations of Miller’s oeuvre, with no biographies published. When new material concerning Miller’s life becomes known, the information usually finds its way into Nexus: The International Henry Miller Journal, now in its tenth volume. 2014 saw a few works on Miller published, including David Calonne’s new biography, which sets out to refresh previous scholarly efforts on Miller’s life. Calonne’s prior Miller-related publications make him an apt choice for this 21st century Critical Lives update to Miller’s biographical information. 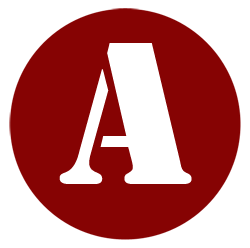 Significantly, Calonne has published over a dozen articles related to Miller, including a publication in Stroker magazine, as well as having contributed an introduction to a Miller work published by Roger Jackson, out of Ann Arbor, Michigan. For this current work on Miller, Calonne utilized his access to rather obscure collections of Millerania, including the limited pressing of Roger Jackson’s Henry Miller: His Life in Ephemera, 1914-1980 (2012). Calonne has contributed elsewhere to the Reaktion Books Critical Lives series with a biography on Charles Bukowski (2012). Though far from exhaustive, the Critical Lives series aims to provide its readers with a shortened, yet decisive, biography of a culturally significant individual in order to weave together their life with their work. Calonne posits that this addition to Miller biographies traces the Eastern and mystical influences pervading Miller’s life. The back cover touts a biography that will provide readers with a meaningful examination of “Miller’s lifelong engagement with astrology, Gnosticism, theosophy and Zen Buddhism, as well as his devotion to the Taoist philosopher Lao-Tzu, the Tibetan yogi Milarepa, the occultist Helena Blavatsky and the mystic George Gurdjieff.” This biographical angle is a warranted addition to scholarly research on Miller; Calonne’s Eastern and mystical examination of Miller, however, often becomes diffused within the retelling of rather well known events of Miller’s history. In Chapter 5, for instance, we learn of Miller’s encounter with Swami Nikhilananda, founder of the New York division of the Ramakrishna Mission; the Swami provided Miller with two impactful biographies of Ramakrishna and Vivekananda and, while reading them, Miller “wrote a series of fascinating letters to the Swami” (80). Unfortunately, Calonne neither expounds on the contents of these letters nor provides more than a passing glimpse at how these works influenced Miller. It seems that, in the interest of saving expositional space, Calonne moves on with the biographical facts, avoiding elaboration into these seldom-examined influences upon Miller. Nevertheless, there are meaningful references to Miller’s life-long interest in Eastern religion and mysticism in the biography, listing for us the numerous literary works that Miller devoured with apparent enjoyment. A little known fact exposed by Calonne is Miller’s attention to extra-terrestrial literature during the Big Sur residence and the last days in Pacific Palisades. The phenomenon of “otherworldly” activities was conceivable for Miller, and he even claimed to have experienced an alien spacecraft sighting in Big Sur, during 1947 (119). Not as fanatical as William S. Burroughs (also a believer in UFOs), Miller admitted to a friend in 1954 that he “‘[had] begun to believe that we will be in contact soon with other worlds here (on earth) and in space…Am I mad?’” (119-120). Such belief only added to Miller’s encompassing view of man’s capacity for achieving higher planes of existence, further melding with his interest in Gnosticism. Sharing an interest with his kindred friend Lawrence Durrell, Miller invested himself in the Gnostic belief of rejecting materiality for a more spiritual state. In the 1970s, and in declining health, Miller would return again to the ideas of Gnosticism while reading the works of Jacques Lacarrière, whose writings reaffirmed his lifelong opinion that society’s avariciousness proved “‘utterly crazy’” (151). The beginning chapters of Calonne’s biography of Miller quickly traverse the known events of Miller’s early life, but the chapters seldom elaborate on any new perspectives on the author. It is understandable then that these are short and staunch chapters, composed chronologically through a cacophony of details about the young Miller. Calonne does put forward certain suggestions that may prove valuable for further investigation in more directed studies. For instance, Miller is known for his prolific use of vocabulary and, as James Decker has examined, a uniquely characteristic narrative style. These prosaic melodies may originate in Miller’s early bilingual home, Calonne suggests (9), but he does not explore this possibility. Overall, the first three chapters do no more than aggregate the work of previous Miller biographers, and are, in essence, tedious reading. Chapters 4 and 5 follow Miller around Paris, through Greece and across the United States to Big Sur. The biography factually elaborates upon this destiny-altering period in Miller’s life. Touching on Miller’s methods of learning the French language, efforts—both successful and not—of his Paris publications, as well as the acquaintances and friends he met, Calonne rapidly moves through the decade of the 1930s, leaving the reader with an overwhelming conglomeration of information. Calonne names books related to Eastern philosophies that Miller read during this period, revealing his interest in topics such as Pravritti (social action), Avitchi (lowest of the hell realms), and Nirvana. These philosophies and beliefs increasingly influenced Miller, becoming consciously incorporated into his letters to Michael Fraenkel, collectively published in the two Hamlet volumes (1939, 1941). As with much of the biography, Chapter 5 is filled with a sundry of locations (for instance, Miller’s use of a New York synagogue to compose The Colossus of Maroussi) and people of interest. During this period, Miller came in contact with such notables as Aldous Huxley, Max Ernst, Vincent Price (an avid collector of Miller’s watercolors) and Hermann Hesse, for whom Miller was directly responsible in initiating American recognition of Hesse’s works. The most significant contribution Calonne brings to Miller’s biography surfaces in Chapters 6 and 7, covering the years 1952-71. Here, Calonne delineates Miller’s multiple trips abroad, and in particular, his seven-month European honeymoon with his fourth wife, 28-year-old Eve McClure (111). The extensive recounting of Miller’s 1953 trip to Europe—as with the European trips in the 60s and 70s—helps to place Miller within the literary milieu of Europe, and as Miller’s notoriety grew, so did his realm of exposure to other artists. Also expounded upon is Miller’s involvement with the Cannes film festival, providing a foray into the film industry in which Miller had so long been enraptured. It was during these trips to Europe (another extensive trip in 1959) that Miller came into contact with several key figures who would help bring about his literary legal unleashing within the United States. He met Barney Rosset of Grove Press in 1959 (122), who ultimately brought down the 27-year ban on his Tropic of Cancer. It is clear that Calonne is striving to establish within time, place and context, the individuals circulating around Miller. Indeed, Calonne also provides minor details outside the immediate sphere of intimate friends and ventures into Miller’s impact on such groups as the Beats, and interactions with musicians like Bob Dylan and Joan Baez (Calonne sadly neglects The Beatles’ interest during the 1960s in Miller’s works). It is worth mentioning the physical layout of the Critical Lives publication for two reasons. First, Calonne has included 27 illustrations throughout the text that add an enhancing visual element to Miller’s history. In particular, there are portraits of many of the influential individuals in Miller’s life, including the artist Beauford Delaney, who painted a portrait of Miller in 1944. Other photos include Miller with Elmer Gertz, who worked with Rosset to seek dismissal of the obscenity charges on Miller’s novels (129). The second aspect of the book is unfortunately a detriment to its usability, for there is no index. As I have highlighted, Calonne has gone to great lengths to document the gamut of individuals who encountered Miller. Unfortunately, without an index, returning to the book for future reference, or for citing information, becomes incredibly tedious. Overall, Calonne’s effort fails to make distinct this new work on Miller. And, probably much to Calonne’s chagrin, this 2014 biography coincides with the publications of two other works on Miller, Arthur Hoyle’s The Unknown Henry Miller: A Seeker in Big Sur (Arcade Publishing, 2014) and Indrek Männiste’s Henry Miller: The Inhuman Artist, A Philosophical Inquiry (Bloomsbury, 2013). Hoyle’s effort seeks to narrow the biographical spectrum of Miller’s life with a focus on his time in Big Sur, while Männiste aims to analyze Miller’s personal literary philosophy, often touching on Eastern influences. With nine previous biographies on Miller in existence, Männiste justifiably—yet prematurely—decries the need for further Miller biographies: “One can only hope that the fact that we haven’t seen new Miller biographies in this century yet can be taken as a sign of a realization that the niche has been positively over-exploited” (Männiste xxi). 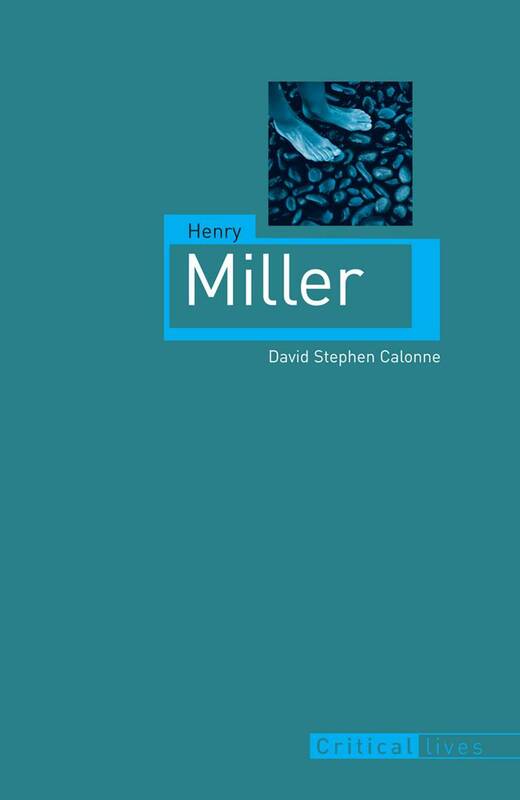 His comments may be prophetic, as the concise and restrictive size of the Critical Lives series hardly leaves room to add a significant contribution to Miller’s work and, regrettably, Calonne’s crammed paragraphs and lists of historical events scarcely bring any new life to the vivacious Henry Miller. Indrek Männiste, Henry Miller: The Inhuman Artist. London: Bloomsbury, 2013.